Tetsushi Mizokami founded the original Uncle Tetsu in Hakata, Japan. 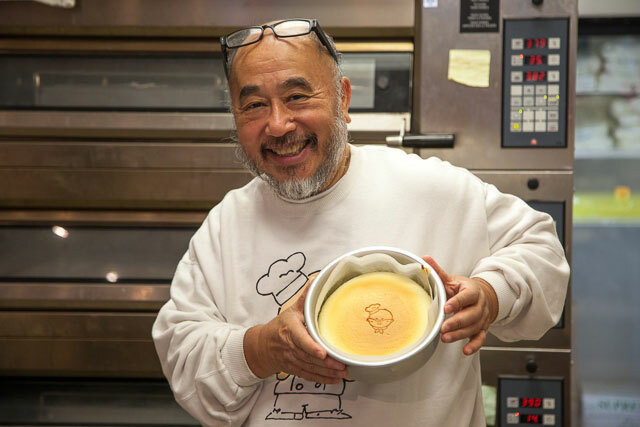 Since its debut in 1985, Uncle Tetsu’s signature Japanese Cheesecakes have become an international phenomenon which has garnered fans around the globe. Made-from-scratch using only the highest quality ingredients, Uncle Tetsu Japanese Cheesecakes combines the richness of American cheesecakes with the lightness of French soufflés. The Japanese Cheesecakes are admired for their lighter quality and balanced sweetness that provide the perfect taste and texture combination. Served warm from the oven with an Uncle Tetsu stamp atop the cake, every bite is a touch sweet and perfectly airy.